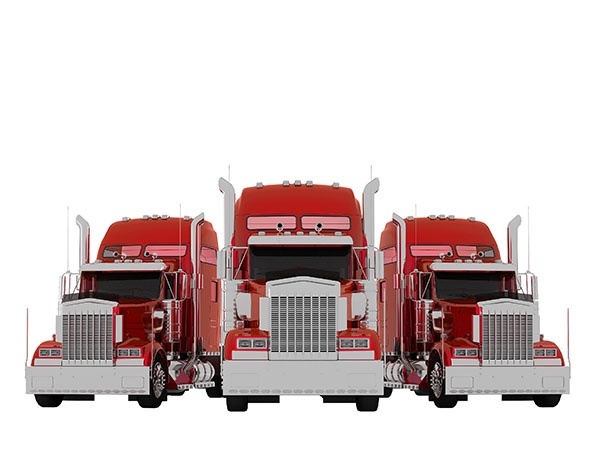 In your search to find truck drivers for your fleet, there are a ton of strategies you can employ for recruiting and retaining drivers. But in spite of this, many companies still find themselves stuck with too few drivers and costly turnover. As such, you may want to consider targeting millennials. Two common problems come out of these conversations. The first is that young people don’t want to be truck drivers. This isn’t necessarily true. People in their twenties often mistake these types of jobs for unskilled labor, jobs where you work long, painful hours for little money. It falls to you to explain to that trucking is actually highly professionalized, essential to the businesses who hire your company, and that not all truck driving gigs are the same. This may require some marketing creativity, but it’s certainly possible. If your company doesn’t have a social media presence, now would be a good time to start developing one. The other problem is preconceived notions about younger people. You have heard the stereotypes before. Millennials are “lazy”, “entitled”, “soft”, and “unreliable”. Obviously, no one wants an employee like that. But every older generation says almost the exact same things about the generation that follows. Your parents probably weren’t huge fans of your generation, either. Just because it’s a socially accepted stereotype doesn’t make it the total truth. More and more drivers are retiring; the numbers prove it. You need younger drivers. The type of driver you want is committed and goal-oriented. College graduates are; you can’t finish a college degree without hard work and commitment. Colleges often have programs that try to help graduates find jobs out of school, but many times students get their degree, only to face uncertainty and debt. Get proactive in locales where you need drivers. Send people to college job fairs. Get in contact with those job programs and have them send out your information to all of their students. Even if you only pull ten applications, that’s worth your time. In the next few years, more and more soldiers will be coming back from the Middle East. Many will be in their 20s and looking for another source of income when they’re discharged. Many of them will not have an education beyond high school. Trucking could be what they’re looking for. Get in touch with VFW posts and other veterans organizations. Not only do they make great employees, but they often have families and you’d doing them a service. If you are focused on building a driver-centric culture at your company, catering to a veteran with a family is a good step. The tricky part of hiring young people is their lack of employment history. You don’t want to hire a person who changes jobs every six months. Try to find people who have worked in the same place for a while. That job probably won’t have anything to do with trucking, but it can tell you a lot about that person’s work ethic and loyalty. If a person can tolerate working the third shift at Target for a year, they probably don’t mind hard work. If your company doesn’t have a finishing school, you should probably consider one regardless of how old your drivers are. You know that just because someone got their CDL doesn’t mean they are an expert truck driver. All the safety videos in the world and one test can’t account for real-world situations, but you can at least prepare your new drivers as best as you can. If you don’t have a finishing program or don’t know what the heck that is, check out ours here. Try a couple of these out and find some millennial drivers for your fleet today. They might just turn out to be your best drivers.